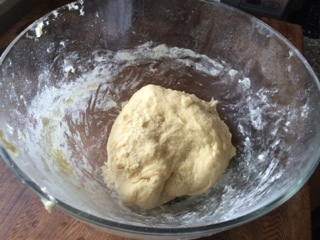 In a large bowl, combine ingredients and knead with your hands. 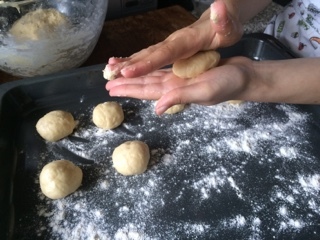 Add more flour if the dough is too sticky. Fill a large heavy-bottomed pot with frying oil (such as canola, sunflower or peanut) about 3 inches deep, and heat it over medium heat until the oil reaches 350ºF on a deep fry thermometer. Alternatively, preheat a countertop deep fryer to 350ºF. 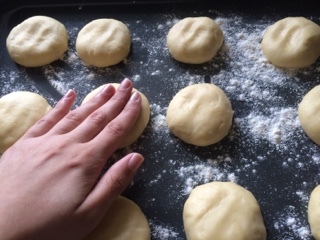 Flatten the dough lightly with your hands. 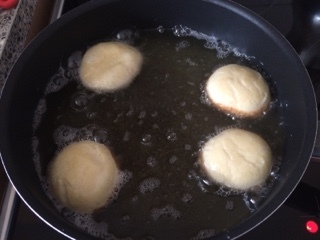 Place the doughnuts into the oil and fry both sides golden brown over medium heat. 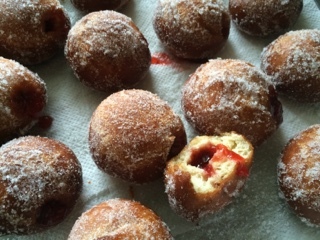 As the donuts are done, remove them from the oil with a slotted spoon and place them on a plate lined with paper towels. 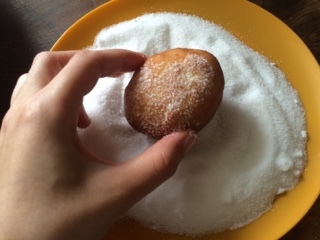 Continue the process until all the donuts are fried. 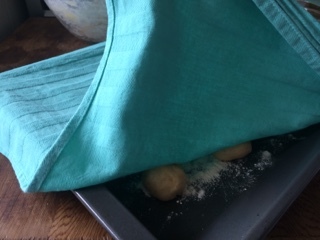 Let them sit until they’re cool enough to handle. 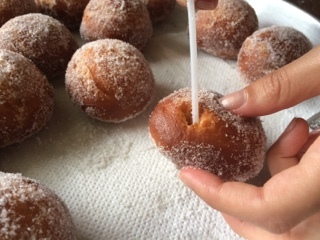 Then, use the handle of a wooden spoon or stick to poke a hole three quarters of the way into the donut. 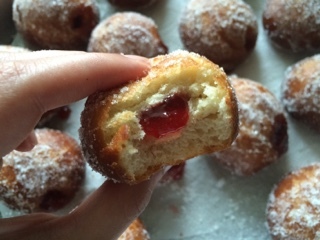 Gently move it around to create a nice-size cavity for the jam. 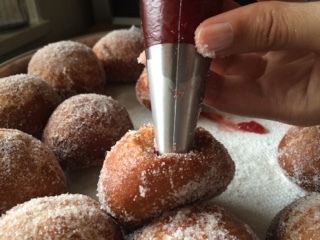 Insert the tip into the donut and fill it until it feels heavy. 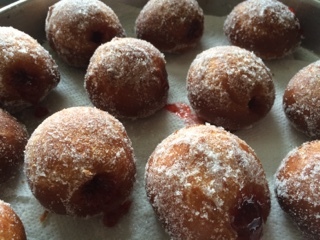 Repeat with the rest of the donuts.